This was his first collaboration with Herzog and a masterpiece of cinema. 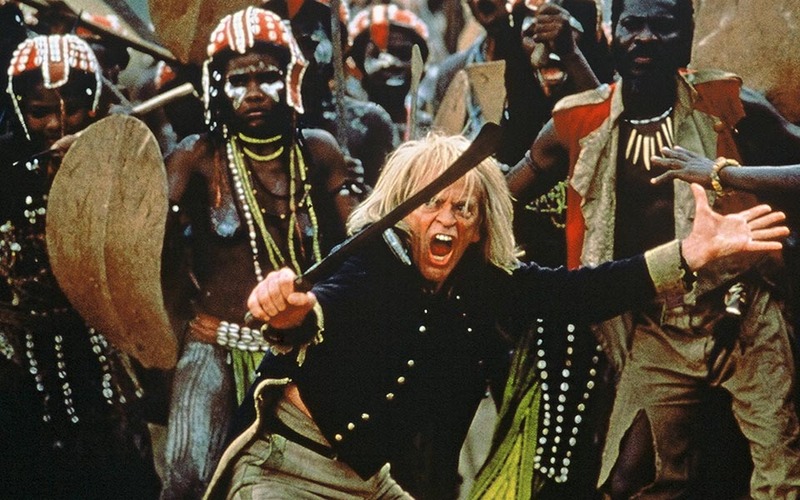 Kinski plays Spanish conquistador Don Lope de Aguirre who leads a mutiny while on a 16th century expedition to find the secret city of El Dorado. Kinski plays a man obsessed with ultimate power and glory and gradually begins to lose his mind as everyone around him dies and all of the supplies are gone. In the end, the struggles of the harsh expedition have led to his descent into madness where in the end he believes himself to be the wrath of God. He is crazy and yet somewhat heroic as he truly believes that his decisions to forge on despite the risk of death are the right choice. All of the death and suffering are worth the cost for the end result, with him constantly reminding his crew about the Mexican invasion by the Spanish explorer Herman Cortes. 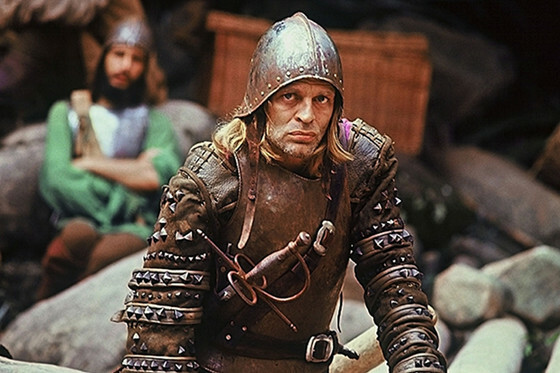 The production had several incidents involving Kinski’s behavior and intensity, including nearly killing another actor when he struck him on the head with a sword while shooting a scene. The actor was wearing a helmet which saved his life, but still has a scar from the event (1). During a night in which the crew was drinking and making noise, he “screamed and yelled at them, grabbed his Winchester rifle and fired three bullets through the walls of their hut. There were forty-five of them crammed together and one had the top of his finger shot off. That Kinski did not kill any of them was a miracle” (1). Herzog confiscated the rifle and still owns it (1). Kinski’s second vehicle collaborating with Herzog was an atmospheric homage to the German silent film Nosferatu (1922) directed by F.W. Murnau. Kinski stars as the vampire Nosferatu and is hauntingly terrifying, with deep black circles around his eyes, sunken eyes that eerily pop out, a completely white face with a bald head and pointy ears, red lips, razor fangs, and long sharp finger nails, dressed in all black. His shadowed figure further adds to the horror of this creature. The beauty of his performance is that despite the creature has appalling looks; internally he suffers from the same feelings that most humans do. He is lonely and dislikes the solitude and also yearns for the feelings of love and mortality. Despite only appearing on the screen for a total of 17 minutes in a film that runs nearly two hours, Kinski’s portrayal of Nosferatu dominates the film and its story. The time when he isn’t on screen, they are using the story to further develop and build up the legend of this terrifying monster. Kinski received nominations for his performance from several film festivals and won an award for Best Actor from the German Film Awards. The movie was also nominated for a Saturn Award for Best Foreign Language Film. 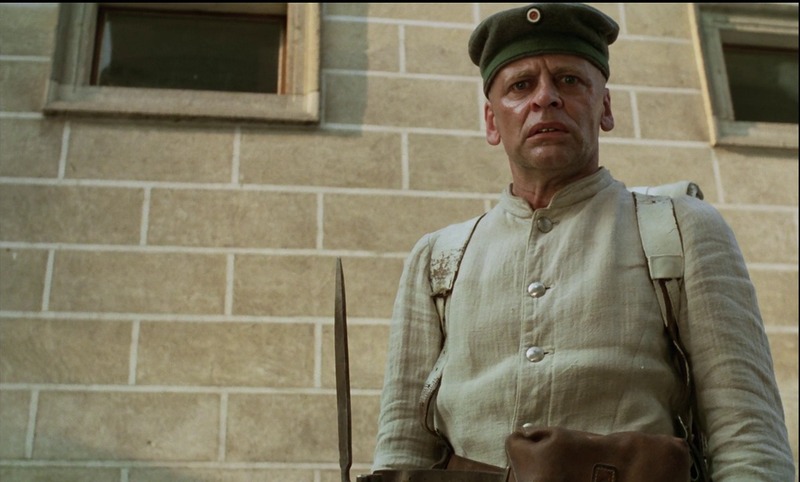 Kinski’s third time working with Herzog is the story of Franz Woyzeck, a weak and powerless soldier within his society. He is portrayed as the weakest soldier in the unit and there are constant questions about his mental capacities, yet he is described as the most virtuous person that they know. His sanity is slowly pushed to the edge as uncontrollable events in his life profoundly impact his psyche, mostly dealing with his child and its mother whom he loves. All of these events leave him greatly tormnented and leads to one powerfully ending, with the “final explosion [being] … an agonizing release from the pain and helplessness that has marked the character’s life” (2). This was filmed immediately after Nosferatu, with production starting the next day in Czechoslovakia. Many people find this to be Kinski’s greatest performance. Herzog said that “Kinski was never an actor who would merely play a part. He would exhaust himself completely and after Nosferatu he remained deeply in the world that we had created together, something that was glaringly apparent from the first day he walked onto the set of Woyzeck. This really gave his performance a different quality and from the opening scenes of the film he seems to be so fragile and vulnerable. Look at the shot of him just after the title sequence where he is just staring into the camera. There is something not quite right with his face. It was actually swollen on one side. What happened was that when he was doing his push-ups during the title sequence the drill major kicks him to the ground. Klaus said to me, ‘He’s not doing it right, he has to really kick me. He can’t just pretend to kick me.’ The man who does the kicking is actually Walter Saxer, the man who is being screamed at by Kinski in Burden of Dreams a couple of years later. Kinski was kicked so hard into the cobblestones on the ground that his face started to swell up. I saw this and said to him, ‘Klaus, stop: do not move. Just look at me.’ He was still exhausted from doing his push-ups, but he looks with such power into the camera that it really sets up the feel of the rest of the film” (1). Jason Robards was originally the lead character in this picture, shooting around 40% of the film before he became seriously ill and had to drop out of the production. Mick Jagger played his son, but ended up having to leave around the same time as Robards for a Rolling Stones tour. His character was completely removed and director Werner Herzog was leaning towards his last resort plans of assuming the role himself, but a meeting with Kinski led to him taking on the role that he had actually coveted. 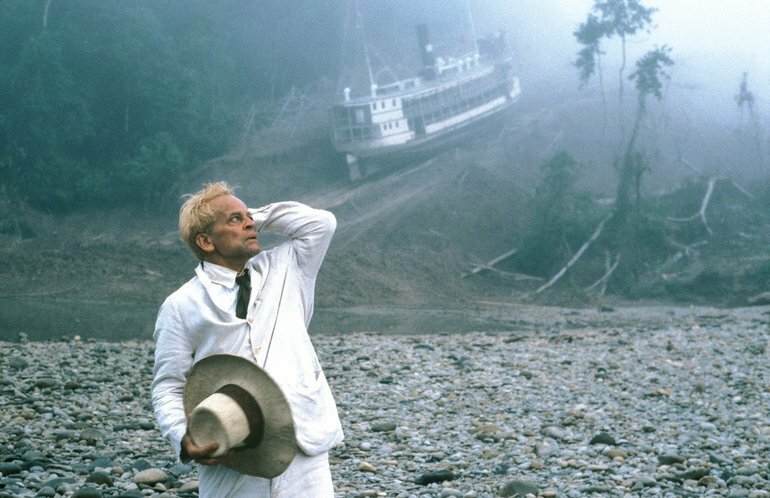 Kinski plays Brian Sweeney Fitzgerald, a wealthy businessman in the rubber industry with an obsessive dream of bringing opera to native Indians in a remote jungle. In order to achieve his dream, his plan involves hauling a 340 ton riverboat over a very steep mountain. Once again, Kinski is at his best. While his previous characters in Herzog’s films have been mad and obsessive over some form of power, this character is purely driven by providing joy to other people and to achieve this highly improbable childlike dream. Kinski received a nomination for best actor from the German Film Awards and the film received nominations from the Golden Globes, the BAFTA, and Cannes Film Festival. Kinski plays Karl Gunther, the son of a Nazi surgeon who is addicted to murder and runs an apartment house only for women that contains various secret passageways, rooms, and killing contraptions. Kinski ultimately elevates what would have been a subpar slasher film without his presence, his looks, and his subtle acting. He makes Gunther a soft spoken and sometimes sweet man that obviously harbors a great deal of personal pain and you end up feeling somewhat sympathetic for his character. At the same time, he provides a natural look of menace that could have only been achieved by him. There are several memorable scenes with Gunther performing Russian roulette on himself as a sign for him to continue on with his diabolical actions. 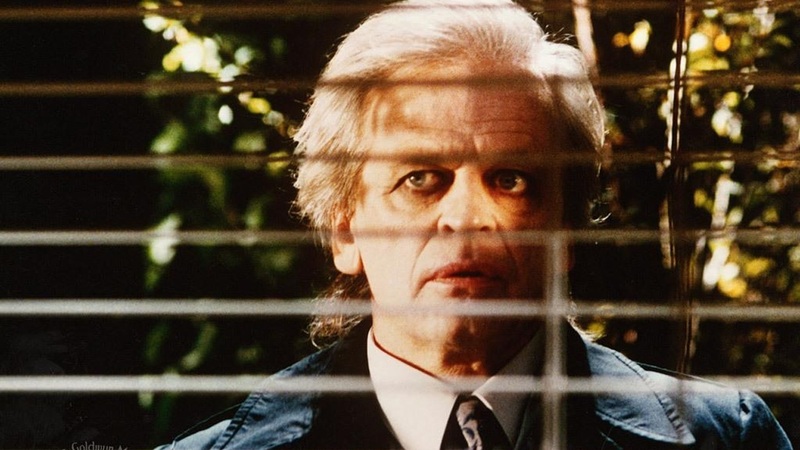 In his final collaboration with Herzog, Kinski plays Francisco Manoel da Silva who is a Brazilian rancher that ends up becoming a bandit named Cobra Verde. He gets hired by a plantation owner in order to supervise his slaves and is then sent to Africa after the owner suspected Verde of having physical relations with his daughters. Once in Africa, he gets put through various torture and humiliation and eventually trains soldiers for a rebel army. The duo’s relationship by this point had reached a breaking point that was visible both on and off the screen. Herzog was moving more towards controlling his situations and Kinski was moving further beyond the grasps of sanity, which shows up in his fiery performance as a man who is pushed to the limits and is slowly driven to total lunacy. After production, Herzog said that he would never work with Kinski again. In Herzog on Herzog, he stated that “to this very day I have difficulties with certain scenes because they have something in them that I felt very strongly on the set but that I wanted to avoid capturing on film. When Kinski arrived for the early part of the film in Colombia he was falling apart. To hold him together and make him productive, to harness all his insanity, his rage and his demonic intensity was a real problem from day one. Kinski was like a hybrid racehorse who would run a mile and after reaching the finish line collapse…. Every single day I did not know if the film would ever be finished because Kinski terrorized everyone on set. He would halt filming even if one of the buttons on his costume was too loose. In fact, he terrorized cinematographer Thomas Mauch and I had to replace him within the first week. This was one of the worst things I have ever done in my life. Thomas loved the film but unfortunately caught the brunt of Kinski early in the battle. I chose his replacement, the Czech Victor Rüzicka, because I had heard he was physically strong, built like a peasant, and very patient. Anyone else probably would have quit within two hours” (1). 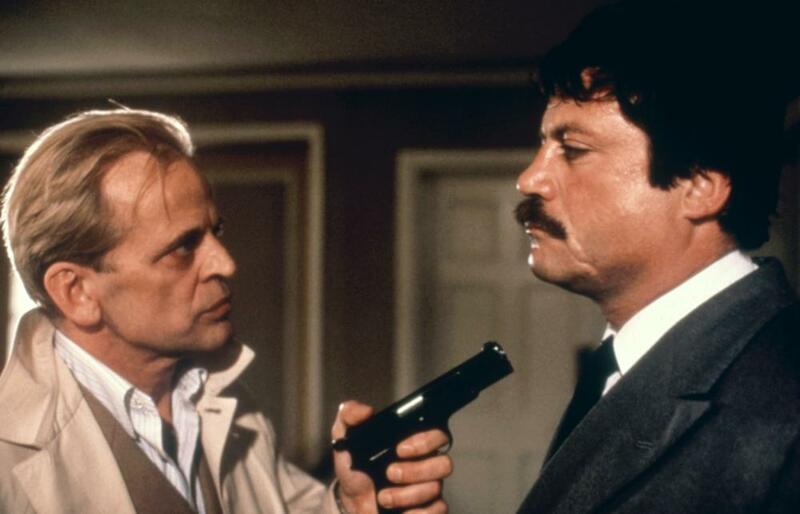 The idea of throwing two of the most volatile and unpredictable actors into the same movie seems like the worst possible scenario, but the duo of Kinski and Oliver Reed end up working wonderfully together in this picture. The story involves the planned kidnapping of the son of a wealthy businessman by the two house servants (Oliver Reed and Susan George) and a German man (Klaus Kinski) that is leading the group. The plan goes south when the boy mistakenly receives a black mamba snake instead of a regular house snake, which leads to a dead cop and the kidnappers and hostages stuck in the family home with the venomous creature. What would have been an average thriller is greatly boosted by Kinski and Reed and their time on screen together. There is a great juxtaposition in both men’s behaviors throughout the ordeal, Reed is sweating profusely and freaking out while Kinski is totally cool and calm under the pressure. It isn’t until the very end that Kinski loses control when he gets attacked by the snake. It’s hard not to include a film that features Christopher Plummer, Donald Pleasance, and Kinski sharing the screen. 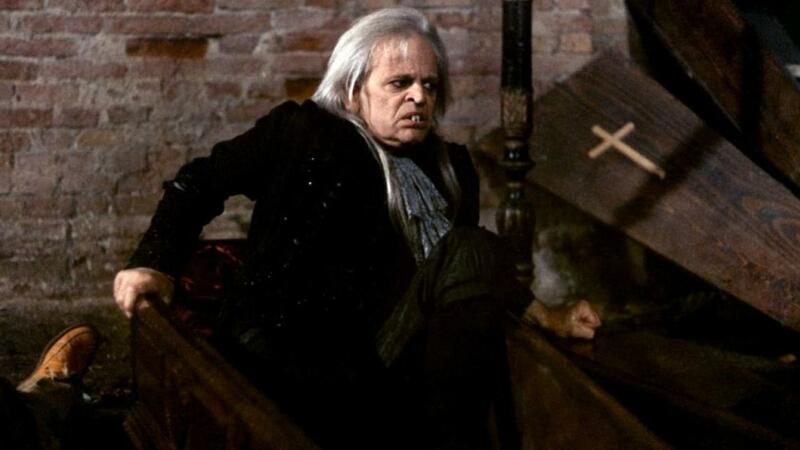 Kinski plays Nosferatu, who has been summoned back to Venice by Plummer’s character so that he can kill him. The problem is that the only thing that can kill this type of vampire is the true love of a virgin. Kinski doesn’t show up until 19 minutes into the film and most of his performance is just him walking around Venice at night and during the sunset, but the result is some beautifully atmospheric shots in such a wonderful and old city. He is truly frightening looking as the brooding vampire, with his distinctive face, long white hair, and the Nosferatu style vampire teeth. Even though he is scary, he is also a sympathetic character because all that he truly wants is to die and be at peace. There’s one lone confrontation between Kinski and Plummer which makes for one of the most memorable sequences in the picture. 1. Cronin, Paul and Herzog, Werner. Herzog on Herzog. London : Faber and Faber Ltd., 2002. 2. Pendergast, Sarah and Tom. International Dictionary of Film and Filmmakers. New York : St. James Press, 2000.